Similarly Harish came up with another dialogue on Brahmins in a pre-climax scene.. 'Pillini.. Panthulni Champakudadani maa amma cheppindi'(My mother told me not to kill a cat & a Brahmin). Villian utters this dialogue with Bunny. But Bunny counters the dialogue by comparing himself with a Tiger as he is a Brahmin in the film. Somehow still 'Pilli.. Panthulu' reference is not that comfortable. 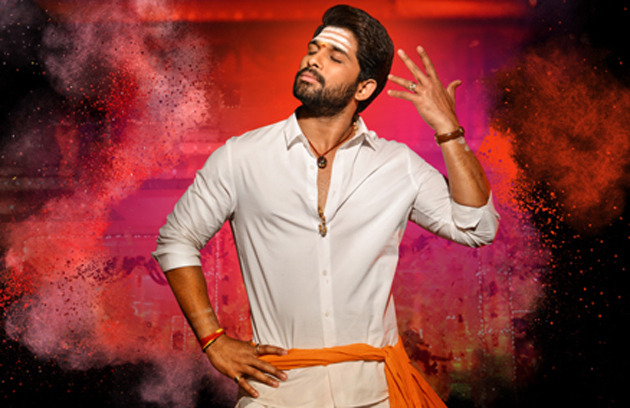 When he utters 'Kammavaru' dialogue.. Bunny tries to cover it up later with another dialogue saying that he told that only to satisfy her.. and nobody knows about inter caste better than him. But still it is like a potshot. Harish only knows why he has choosen this kind of dialogues.